Before the days of Harry Potter, generations of young readers let their imaginations take flight with The Chronicles of Narnia, a series of seven fantasy novels written by C. S. Lewis. Like his friend J.R.R. Tolkien, Lewis served on the English faculty at Oxford University and took part in the Inklings, an Oxford literary group dedicated to fiction and fantasy. Now, with the apparent blessing of the C.S. Lewis estate, the seven volume series is available in a free audio format. There are 101 audio recordings in total, each averaging 30 minutes and read by Chrissi Hart. Download the complete audio via the web or RSS Feed. Or start listening to the opening chapters of The Lion, The Witch, and The Wardrobe right below. This is such a magical gift, for young and old. Thank you! What a great thing to have in a free format – I grew up on these CS Lewis. I’ll be sure to add this to my blog too. Can you get free versions of Narnia in ebook format too? I just checked and the audio can still be streamed for free. Head here if you have any doubts. C.S. Lewis is not an author, he is beacon. God touched him deeply, and he in turn touches us. Although the download link has been disabled, if you click on “play in browser” or “direct link” then you can right click the player and “save as” to download the file. We have a couple of editions in printed format. An audio version will be great for long road trips. I believe they *were* trying to put the books in order — in order of publication, rather than in chronological order within the story. I’ve forgotten what arguments there are, for and against, reading the series in one of those orders, rather than the other. Personally, I would prefer to read a series like this, in the order that the author wrote them. It is certainly a matter of preference, not “rightness”, most likely. Yes…,i think this story very nice….,i think Film’s and Book’s is very fantastic and amazing.I love The Chornicles of Narnia.I love Georgie Henley,Skandar Keynes,William Moseley,and Anna Popplewell.Really….,Cast Narnia must go Indonesian. (I’m come from Indonesian).In there,my freind’s is also like All About The Chornicles of Narnia…. :) . There is a quick way to get all the MP3s. and use DownloadThemAll to get them all. I was given the suggestion to listen to them just today.. so thank you. I have began downloading them.. I love Narnia. I wish to be there…. Can anyone tell me if these recordings are unabridged versions? David Carta: Thanks for the info about downloading them all. I’m not seeing that option. Do I have to download a player first or something? I can t find all narnias e-books in greek could you help me? Hi guys!! 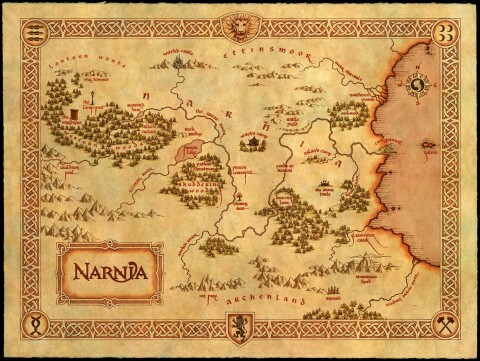 I love Narnia! Where can I find the full free audio book of this book? Was so excited to find these for free but I find this woman impossible to listen to. She sounds like the GPS navigation voice, totally flat and emotionless. I’ve listened to the entire Harry Potter series read by Stephen Fry, who is an absolute delight. Disappointed with this one. I love to hear the rest of the book but it is so stupid you dont finish the fricking book!!!!!!!!!! What do you mean “use DownloadThemAll”, David Carta? I don’t see that option? What a lovely thing, but so badly read… or am I just so used to Stephen Fry’s brilliance that I can not switch to anyone else? The voice seems to me as a TV reporter, most of the sentences always weird at the end. No offence ment though, must be hard to do it perfectly and her pronounciation is so smooth and clear. Thank you for allowing us to listen to this peace for free.